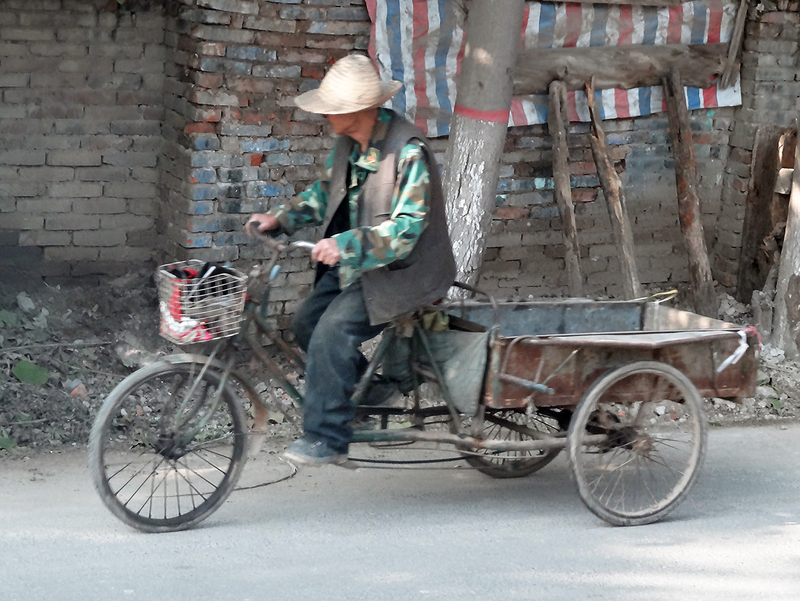 The Cargo Bicycle – An Idea Whose Time Has Come, or Has it Been Here All Along? 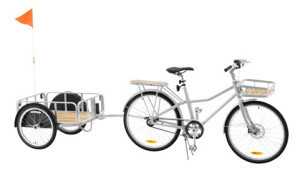 There has been increasing interest in the U.S. in cargo bicycles for making pickups and deliveries, particularly in inner cities with high traffic volumes and limited parking. Human or electric-powered cargo bicycles offer obvious environmental advantages over traditional, much larger gas or diesel powered delivery vehicles. 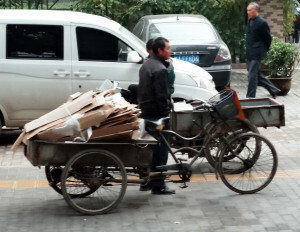 Trailer that’s rated to haul 49 kg (108 pounds). 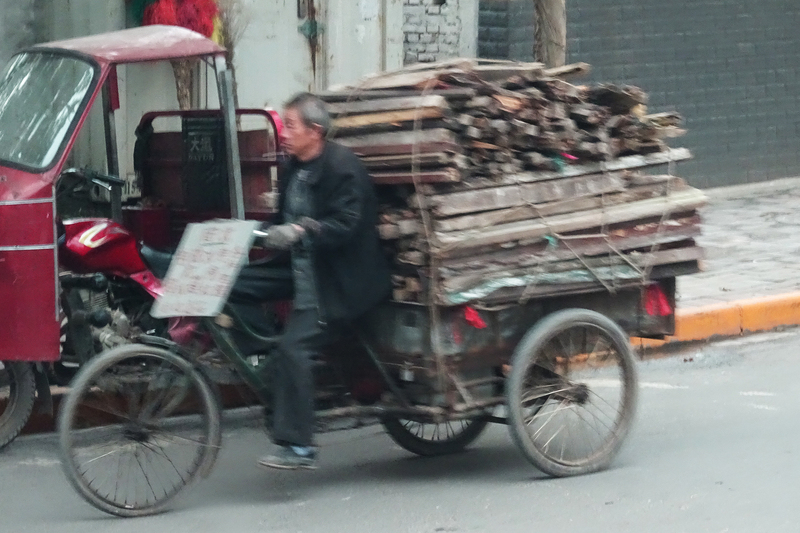 The rated load of the bicycle itself is 160 kg (352 pounds), including the weight of rider. 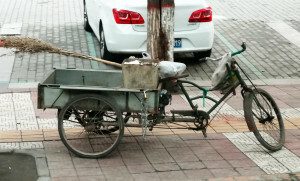 Cargo bicycles may be trending in the U.S., but they have been used for many decades in Europe, particularly in Scandinavian countries, and they probably have been used just as long in Asia. 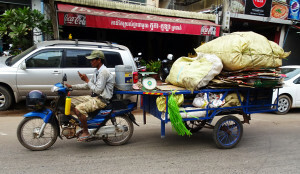 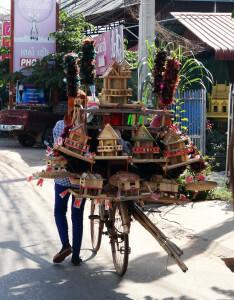 On a recent trip to China and Cambodia I found that 2- and 3-wheel cargo bicycles were very common and some were capable of carrying impressive loads. 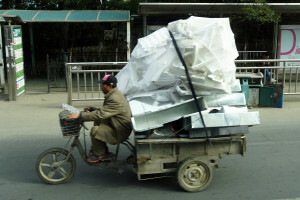 It seemed the concept of “rated load” never was an issue. 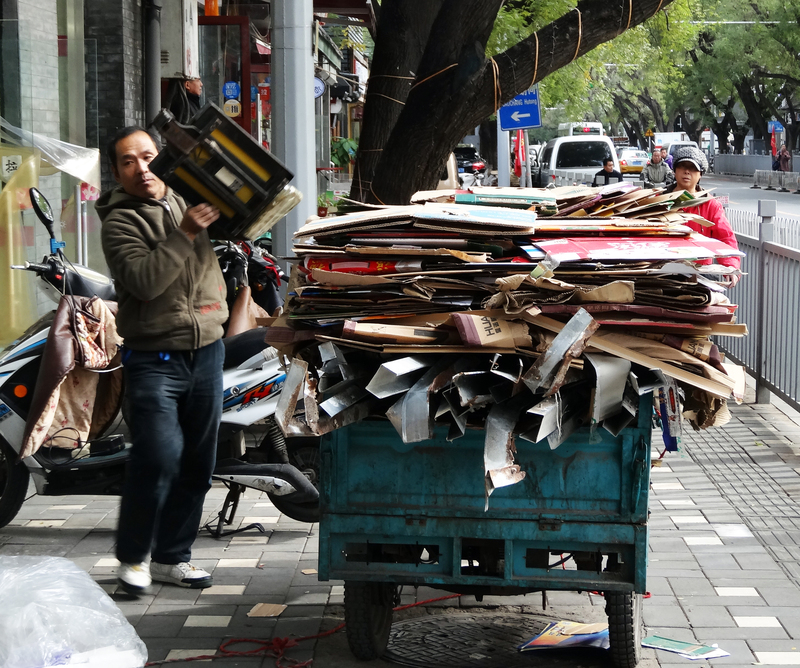 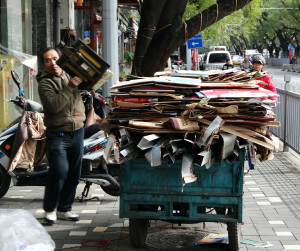 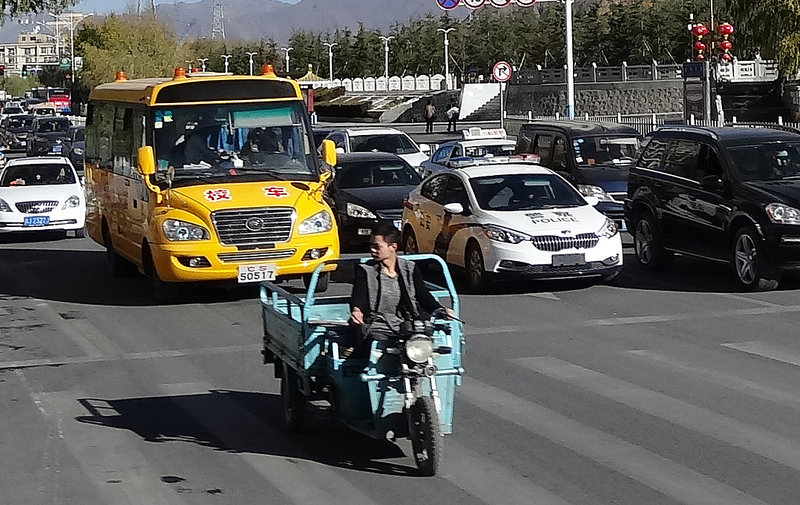 Also common in China and Cambodia were 3-wheel cargo scooters and a range of small cargo vehicles that were part motorcycle and part truck. These small cargo vehicles seemed well suited for use in very high volume, relatively slow moving city traffic. 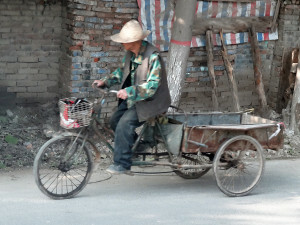 Following are photos of several of the cargo bicycles, scooters and motorcycles I saw on the trip. The cargo bicycles offered by IKEA and Xtracycle are nice, but they really don’t break new ground in the use of bicycles as cargo carriers. 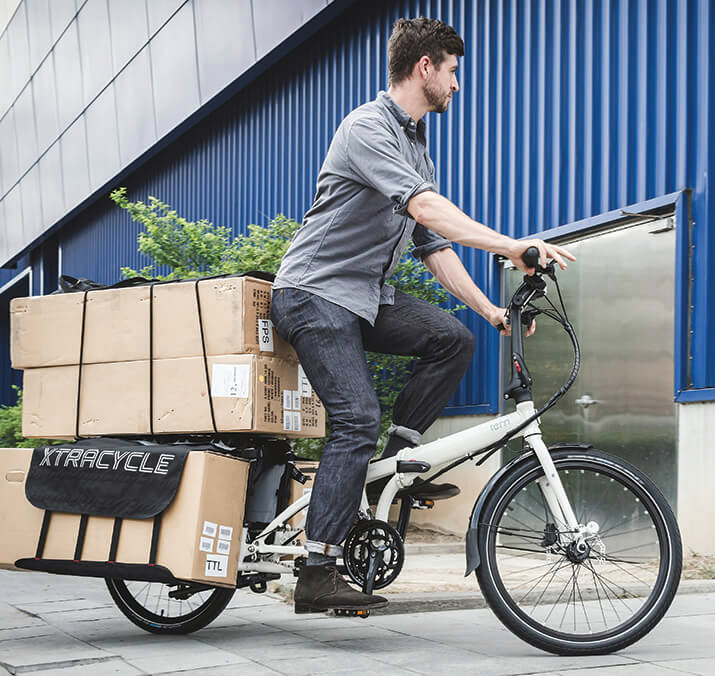 What is new is that individuals and businesses in the U.S. are expressing increasing interest in cargo bicycles, and other forms of small urban delivery vehicles. Next time you’re stuck in city traffic, you may be passed by a cargo bicycle in the bike lane.